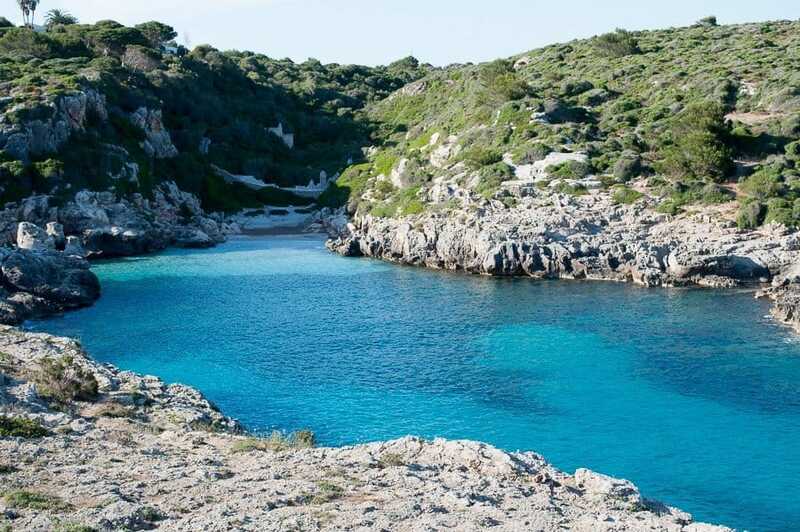 Menorca is a gem of an island in the Mediterranean sea and part of Spain’s Balearic islands. 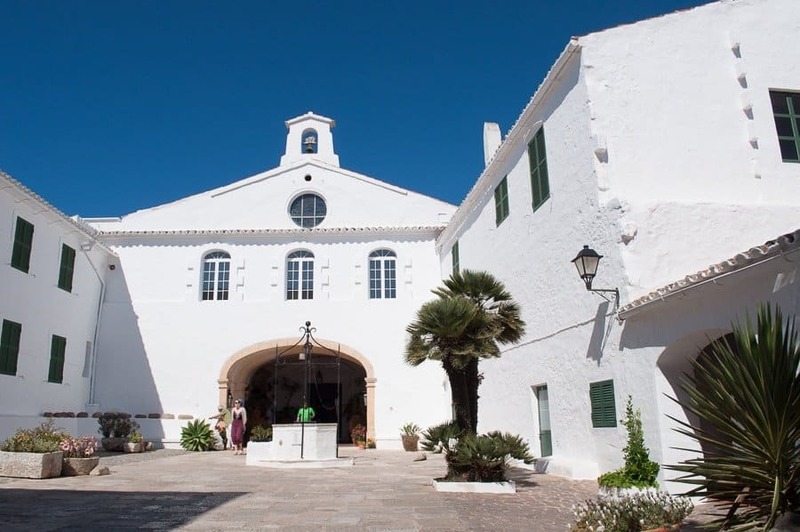 If the eleven best things to see in Menorca in my last post weren’t enough to convince you how magical this little island is then read on for more ideas of what to see and do in Menorca. Below you’ll find part two and 12 more reasons why I fell in love with this laid back little isle. 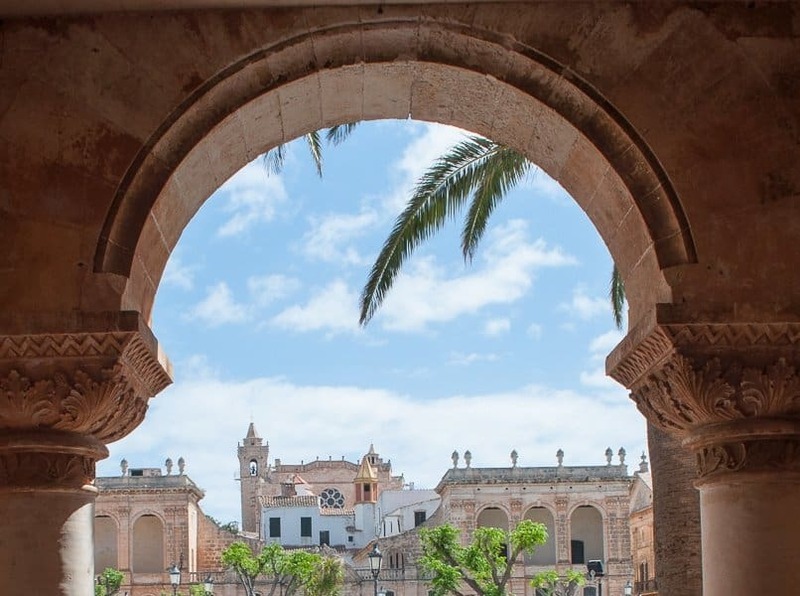 If you like cobbled alleyways, street cafes and cathedrals then you’ll love Ciutadella. The town was the original Menorcan capital before Mahon took over and has many important buildings. Ancient palaces line the old town’s main square, Plaça des Born. 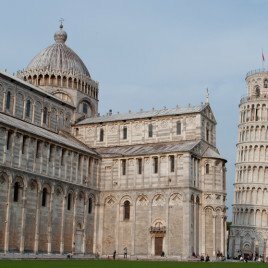 There’s a 14th-century cathedral and a 17th-century baroque church. 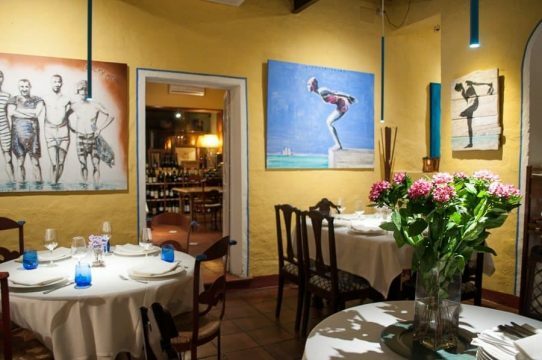 A maze of streets lead off from the Placa where you’ll discover hidden courtyard gardens, artisan shops and a myriad of tapas bars. 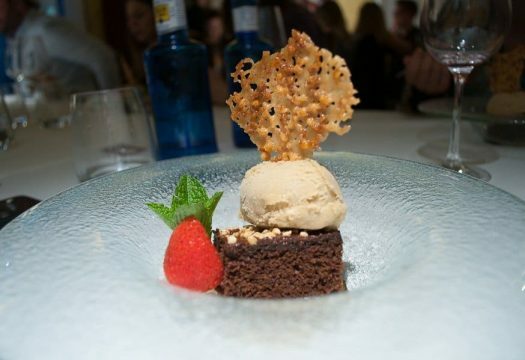 Where to eat: Café Balear dished us up an excellent meal. 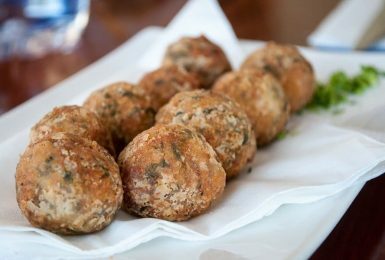 Eat good food in modern surroundings or outside by the water. 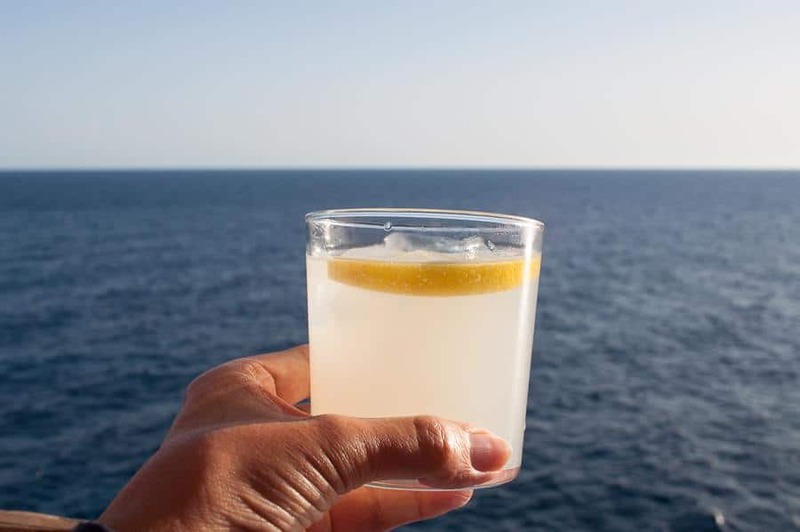 The Menorcans have put their own twist on the gin and tonic and replaced the tonic with their own refreshing fizzy lemon. Pomada is the perfect drink to go with an epic sunset and I’ve made one or two since I got back home. 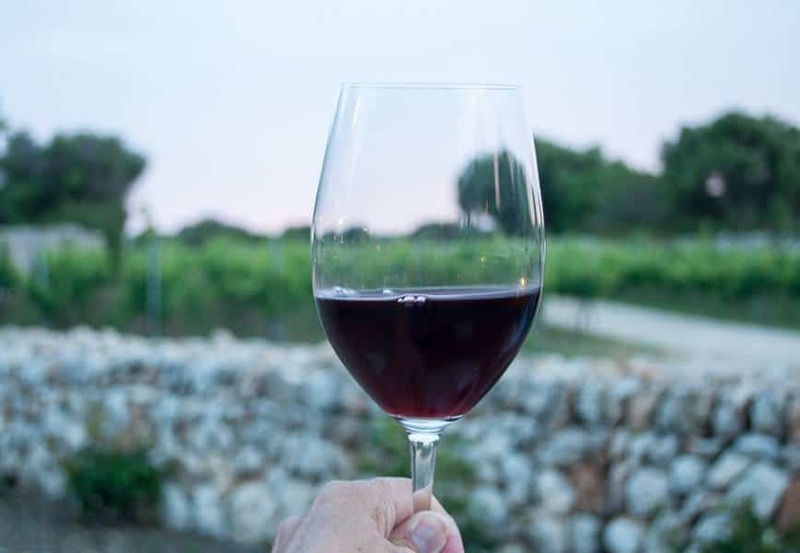 Every sip brings back a taste of Menorcan magic. What is it about lighthouses? 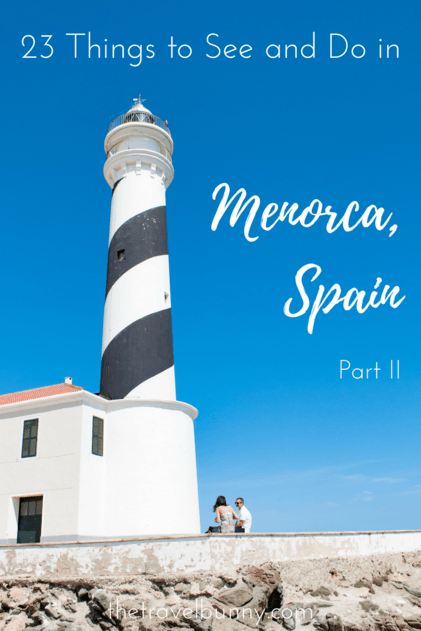 Menorca is home to seven lighthouses so I was spoilt for choice and this was one of my favourite things to see and do in Menorca. Favàritx lighthouse in the north-east of the island was quite striking and the scenery around it was stunning. 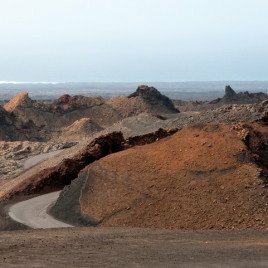 I think it was the unusual black spiral band, rugged landscape and the remoteness of its surroundings that drew me to it. 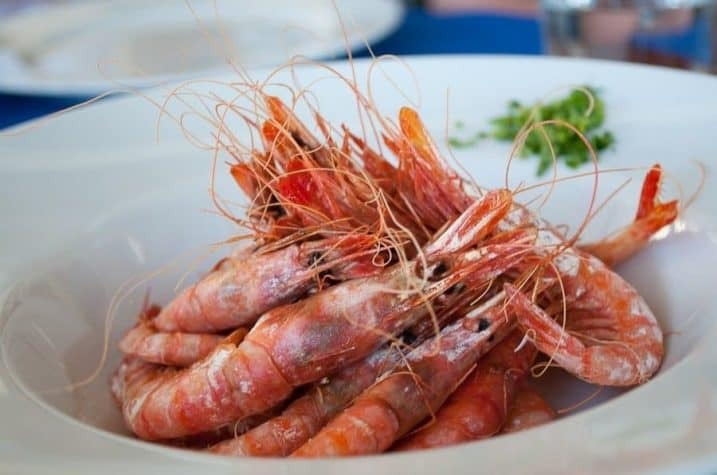 With all that coastline the seafood in Menorca is going to be excellent with the freshest of plump prawns, mussels and fish. 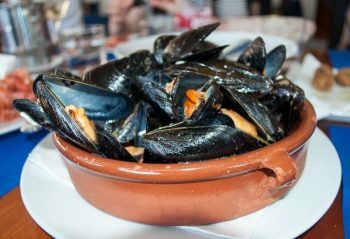 I can’t eat mussels – I love the taste but they make me ill so it was a bit of a tease to see everyone tucking into platters of juicy mussels while I couldn’t. I was assured by all that they were absolutely delicious. 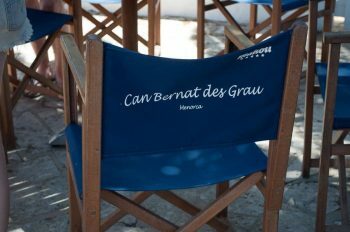 Two particularly good restaurants were Can Bernat des Grau who served up fabulous seafood and slow-cooked, melt-in-the-mouth beef. 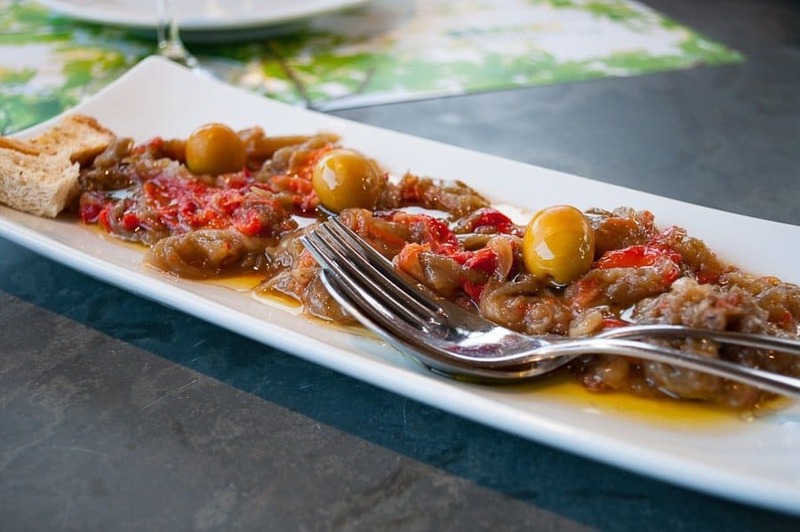 Moli de Foc in Sant Climent served exquisite food in a rustic and ambient setting. 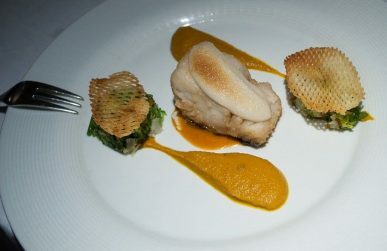 This was my favourite restaurant and the best meal of the week. 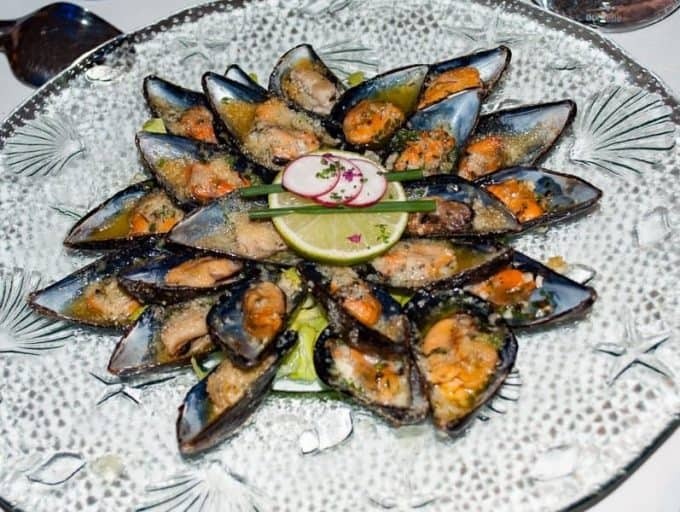 The restaurant’s website isn’t complete but you will find contact telephone numbers on it. I’ll let the pictures do the talking. 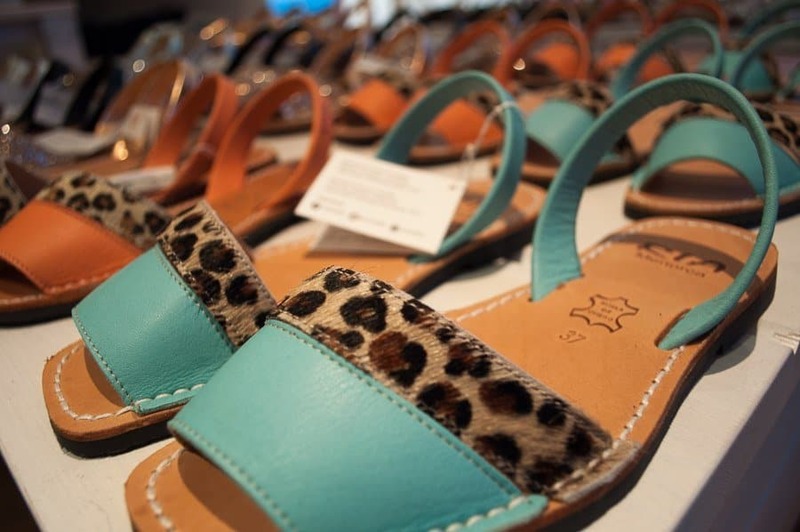 Avarcas sandals were once the footwear of Menorcan farmers. Now they’re on trend and everyone seems to be wearing them. They come in every pattern you could think of from sparkly glitter to animal print. Of course, the original ultra-soft leather versions can still be bough and are as popular and comfortable as they always were. After a long break from wine-making, due to diseased vines, Menorca re-entered the arena again some 20 years ago. Binifadet winery is excellent vineyard which combines food and drink in a beautifully ambient setting. 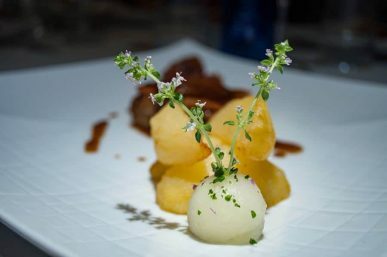 The restaurant serves good international cuisine and wine-based dishes of goats cheese and preserves. You can also take a tour of the vineyard to learn how Menorcan wine is made. 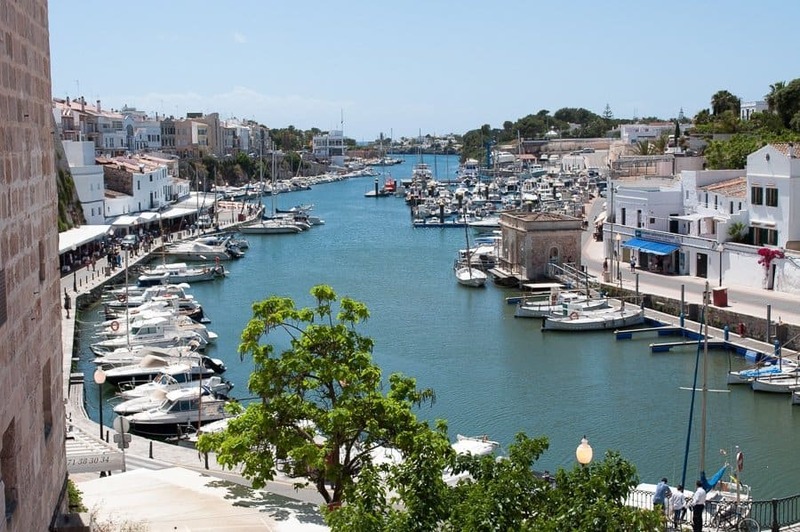 Menorca was once regularly invaded by its European neighbours and maraurding pirates and so fortresses were built at Maó harbour to help protect the island. We visited La Mola, an impressive 19th century fortress, and the 18th centrury Fort Marlborough which was built by the British. Sant Felip Castle can also be visited. Various watch towers and defence turrets are visible all around the island and these were used to send alarm signals when invasion forces were spotted. Binibeca is a small resort town on Menorca’s south coast. 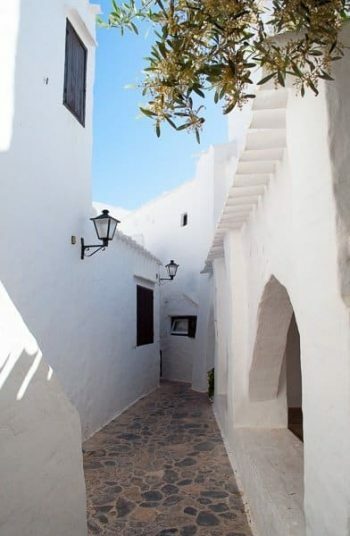 It was built in the 1970s and designed to recreate the fishing village atmosphere of Menorca past. 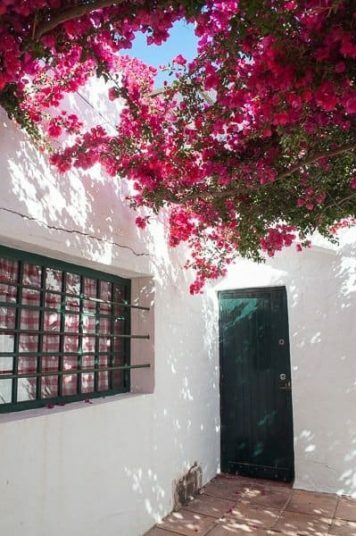 The tiny white buildings are festooned with flowers and set in a maze of winding alleyways. There’s a small sandy beach, bars, restaurants and shops. 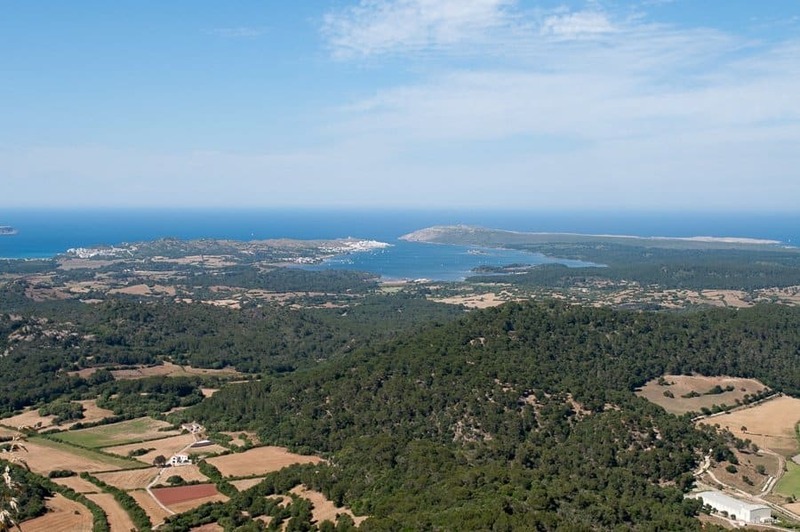 Monte Toro, the island’s tallest mountain at 358 metres above sea level, makes for some of the best views of Menorca. On a clear day you may spot mainland Spain. Mount Toro has been a shrine and place of pilgrimage since the 13th century and many believe the mountain is the spiritual centre of the island. After you’ve checked out the incredible panoramic views visit the Sanctuary of the Virgin of El Toro. With so much coastline you’ll find plenty of pretty water-side areas lined with bars, cafes and restaurants. 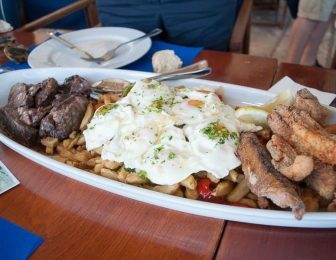 Enjoy a meal with views over the water as fishing boats bob about and your freshly caught lunch is brought ashore. I love mayonnaise on my chips and rumour has it that I have a Menorcan serving girl to thank for it. 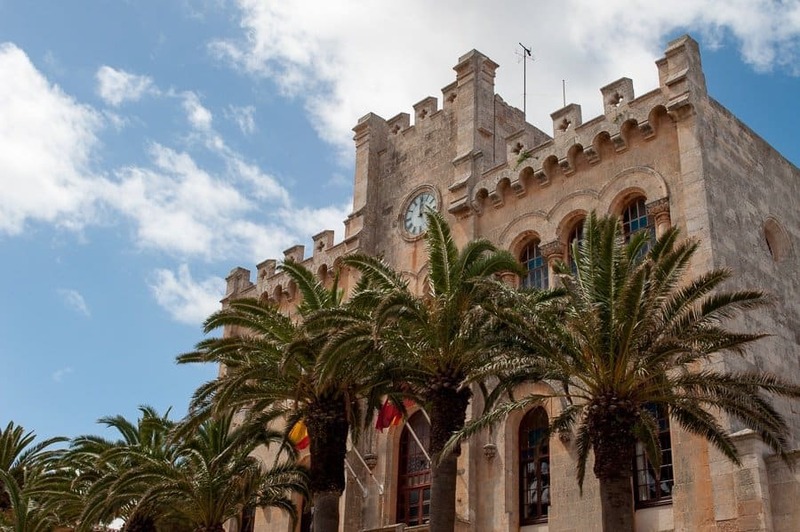 In the 18th century the French army commanded by Duke de Richelieu landed in Menorca. The Duke stopped in Mahon for food in small tavern. 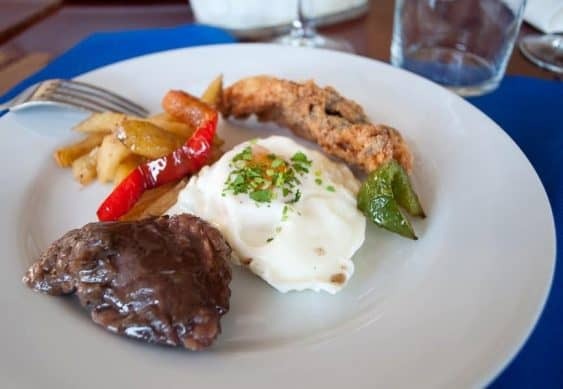 There was only dry meat and no cream but a girl from Mahon improvised and made a sauce using eggs and olive oil. The duke loved it and took the recipe back to Paris. To this day locals insist on calling it mahonnaise. 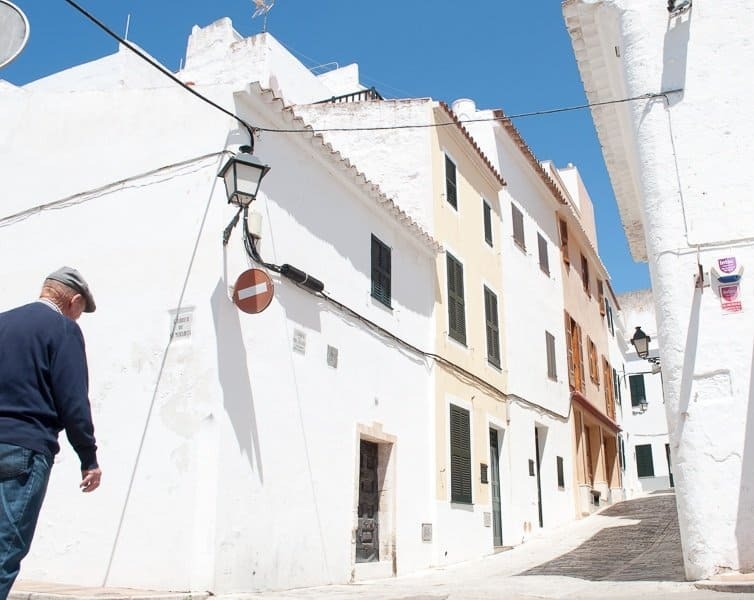 Menorca is hiker, biker and horse-rider’s dream. 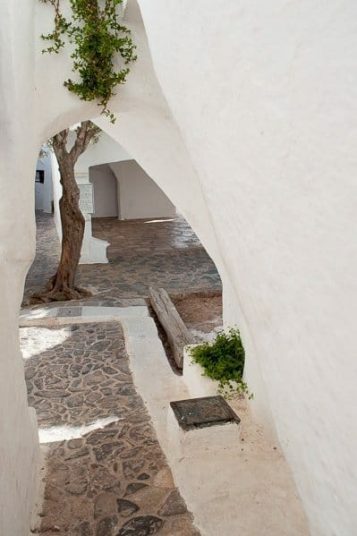 The Camí de Cavalls is an ancient bridal path that encircles the island’s coastline for 186k. 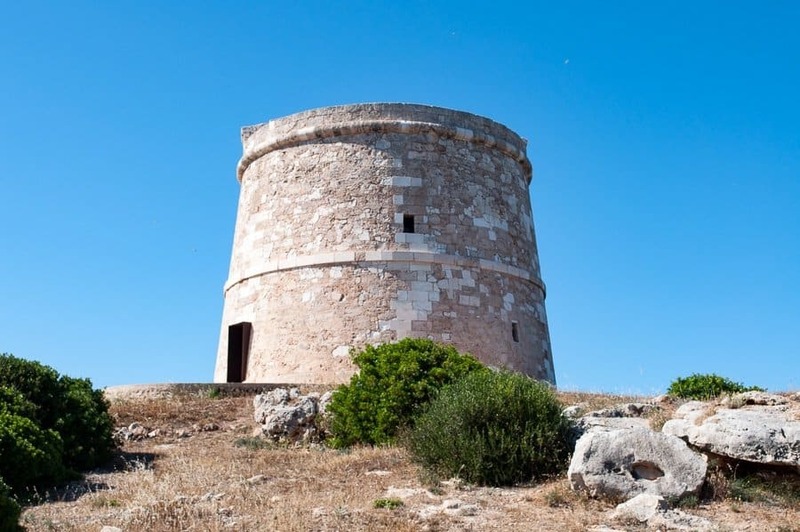 It was originally used by the military to help guard the island and connects all the Camina Cabise watchtowers. 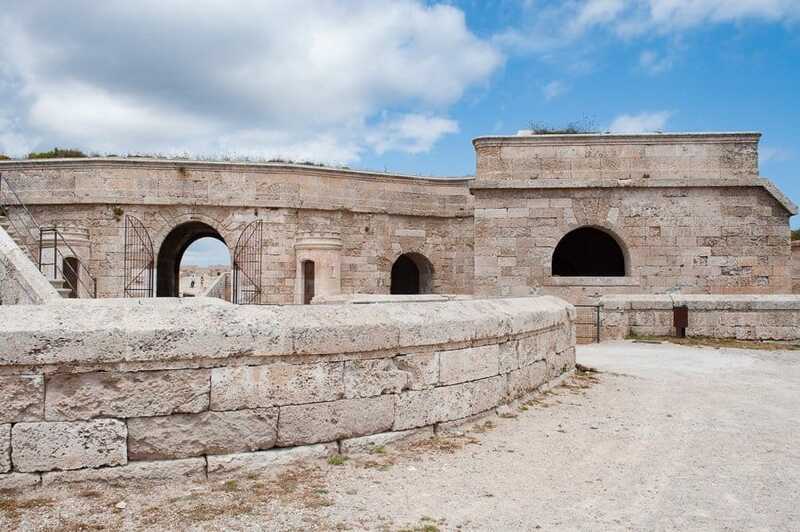 It showcases Menorca’s eco-systems and wildlife with some ancient history thrown in. The path is also used to reach some of the island’s most inaccessible beaches. If you haven’t already planned a holiday and are still working out where to go this year think about a holiday to Menorca. This was my third visit to the island but this time I saw a new, slower and more natural side to it which I loved. If you’re thinking of visiting Menorca and have any questions drop me an email or a tweet and I’ll be happy to help. 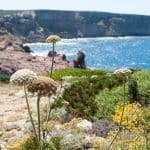 I was invited to Menorca by Traverse and Visit Spain to discover the island and to attend a blogging conference. 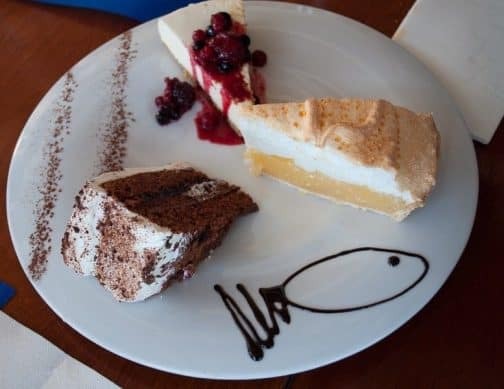 We spent two days in conference at Barceló Hamilton Menorca and five full-on days, and nights, exploring the island where our base for the week was the lovely beachside Salgar Resort. We flew with Jet2 – my first time flying with that airline and I was very impressed and will definitely fly with them again. 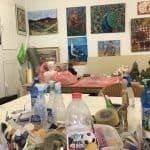 Some of the posts on this site contain affiliate links. If you buy an item after clicking on one I may receive a small commission at no extra cost to you. If you choose to buy anything through them it’s very much appreciated, thank you. Binibeca looks absolutely charming and I never knew that Menorca had so many picturesque lighthouses! 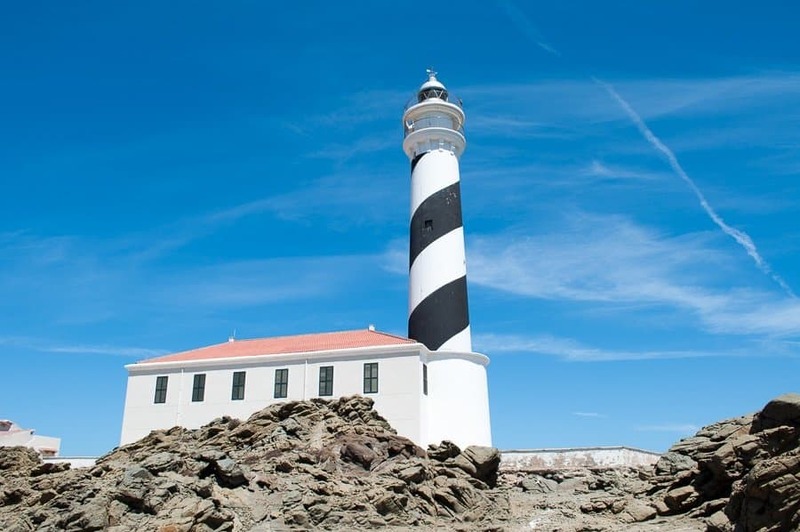 I didn’t realise how much Menorca had to offer – I’ll be going back to check out the lighthouses I missed first time round! 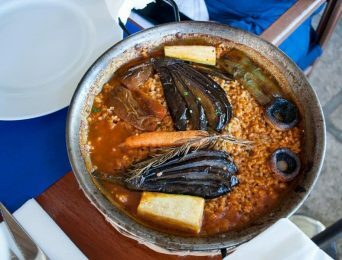 We visited many years ago and this brings back lovely memories – it is the lesser known island to Majorca and Ibiza and that’s the charm you’ve caught! 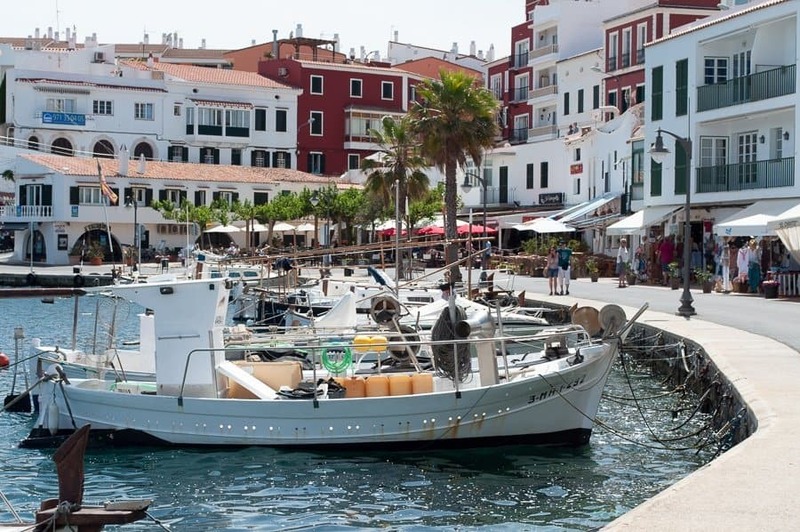 Menorca’s very special and it’s almost a good thing that it’s over-shadowed by its neighbours – it’s not as over-run with people and has a lovely pace. Looks like there’s such a really great mix of things to see and do (and eat and drink of course!). Harbour towns, lighthouses and fortresses are just my type of thing – maybe a Menorca autumn break might be on the cards.